In recent years, moose have become a more common sight around ski resorts. And in the past few weeks alone, skiers at Sugarbush in Vermont have reported seeing four different moose wandering the slopes and nearby forests. Of course, a moose -- even one just standing around -- can do serious damage in a collision. On average, an adult bull moose will stand about six feet tall and weigh anywhere from 840–1,500 pounds. And when these animals charge, you get out of the way. In December, one unlucky skier, Jeff Palmer, had a close call with a moose at Sugarbush. Bill Applegate, another skier, captured the incident on his cell phone. “I’ve never seen anyone in ski boots run that fast in my life,” Applegate told Boston’s CBS Local. Luckily, Palmer clomped to his escape. 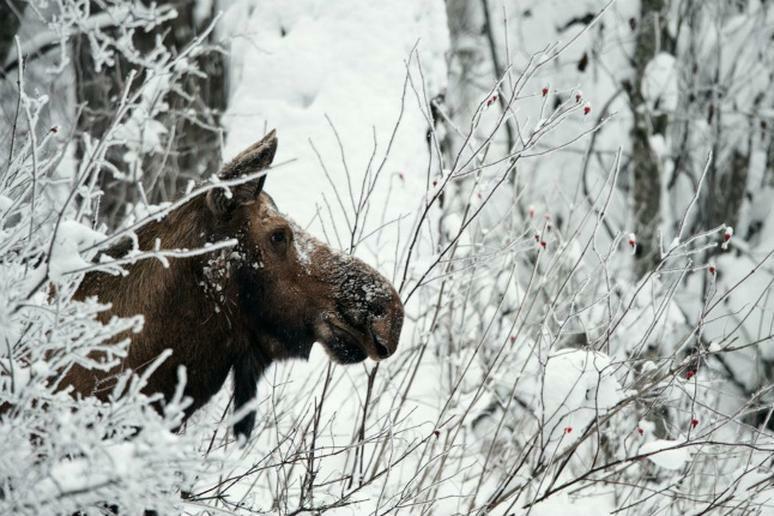 While the reasons for the uptick in moose sightings are not clear, some speculate that the animals are simply seeking packed, groomed snow during a period of high snowfall in the region. Powder hounds, apparently, they are not.